Property: While you are using this shield, you have advantage on saving throws against spells. This shield’s face features a metallic circular design inscribed with various arcane runes, combining the straight, sharp lines of Dwarven letters with flowing Elven script. When the shield is held defensively, this rune-­‐scribed circle seems to lift off the face of the shield, then rotate. 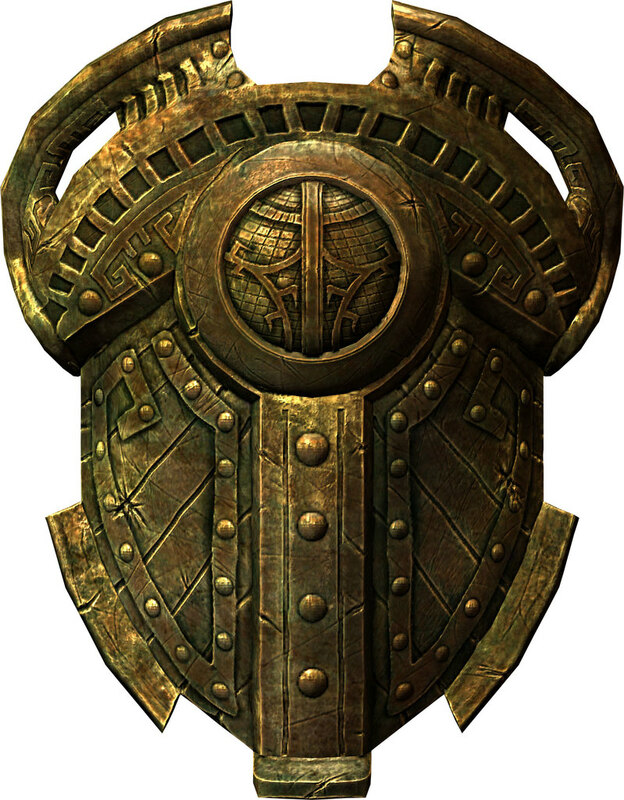 The design of this shield originated in a dwarven kingdom beset by drow. Its champions carried spellguard shields to defend against drow wizards and priestesses in battle.